• Casino Joy Review - A Bright Future For This Casino? Casino Joy bills itself as a ‘colour-scape of calm spreading bliss among casino players of every kind’, which sounds fairly ambitious! We assume that ‘casino players of every kind’ includes 600-pound gorillas, as our very own hairy reviewer has given this vibrantly coloured site the once over. Does this casino really offer the ‘best online slots experience’? Read on to find out what our expert reviewer makes of this 2018 addition to the world of online casino gaming. What can be guaranteed to bring more joy to the hearts of grizzled casino players than a handsome welcome bonus? Well, that is certainly what Casino Joy believe as they are offering a welcoming £200 plus 200 free spins to match the first deposit of new UK players. Not exactly a stratospheric number – and less than the $1,000 on offer to international players – but still a good bonus with a reasonable wagering requirement attached. The Casino Gorilla always appreciates it when a casino gives players a real chance to profit from a bonus offer, and that is certainly the case here. Add to that the fact that Casino Joy doles out weekly bonus offers to its players and this casino certainly does its best to live up to its happy-clappy name. 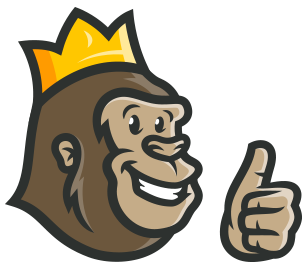 Casino fans always love to claim a free spins bonus offer, and the Casino Gorilla is no different. At Casino Joy the welcome bonus comes with 200 free spins on NetEnt’s famous Starburst game. To claim the matched deposit bonus you must deposit at least £10, but if you only want to claim the free spins then make sure to make your first deposit at least £5. Spins are released in batches of 20 a day for ten days so make sure to check in every day so that you don’t miss out on the latest instalment, because they are only valid for 24 hours. The maximum that can be withdrawn from free spins winnings is capped at £100. Simply by making an initial deposit of £10 or more, new players will automatically be credited with their 100% matched bonus. No bonus code is necessary for UK players as the bonus is triggered by that deposit. International players have the option to claim a bonus of up to $1,000 over their first four deposits, and codes are required for the 2nd, 3rd and 4th of these. Always pay attention to the terms of any bonus on offer just in case you are required to enter a code in order to claim. Some online casinos regard their live dealer casino as a bit of an after-thought, but that is most definitely not true of Casino Joy. 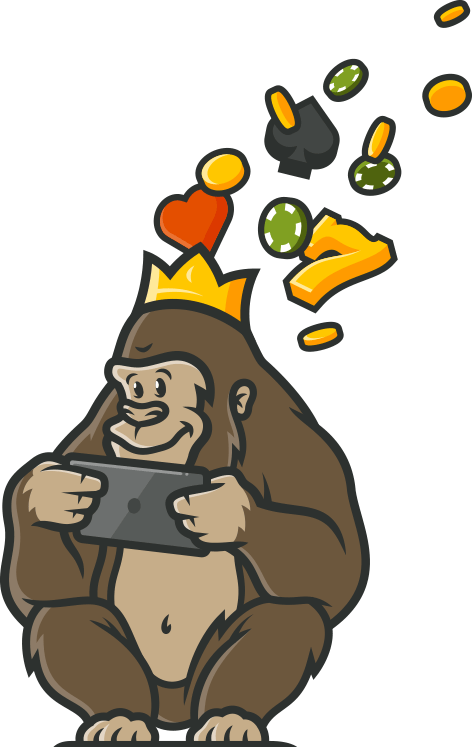 The Casino Gorilla certainly had a joyous expression on his face when he saw that there are almost 100 live dealer tables to choose from at this online casino. As you would expect, the majority of these are roulette and blackjack tables, with variations of the games to include speed versions, VIP tables and different language options. You will also find tables offering just about every other live game on the market, including Caribbean Poker, Dream Catcher, Dragon Tiger, 3 Card Poker, Texas Hold ‘Em, Football Studio and a number of different Baccarat tables. If you are a fan of live casino action then this site is highly recommended. The way that this site is laid out makes it very well adapted for mobile players. These days more people choose to play casino games on mobile devices than desktop computers, making a strong mobile platform even more important than ever. Casino Joy has free apps to download for both Apple and Android devices. However, if you prefer not to have to download anything then you can just enter the name of the casino in your browser and access as normal. Your login details will be exactly the same whether you use your phone or a computer, and you can play real money games without having to be tied to your desk. As you can see from the list below, Casino Joy believes in providing as many different payment options as it possibly can. There are no charges imposed by this casino for either deposits or withdrawals, although sometimes the payment provider will deduct their own fee when withdrawals are made. With such an extensive list of options, just about everybody should be able to find a payment method which suits their needs down to the ground. Just make sure to verify your account before your first withdrawal so as to avoid any unnecessary delays. Casino Joy is licensed by two of the strictest and fairest regulators in the business in the form of the UK and Maltese authorities. What this means for players is that if they have any issues with the casino they will be able to seek assistance from strong regulators who will give them real help. Not always the case with some of the less-respected governing bodies out there. This site employs the latest encrypted software to make sure that personal information and financial transactions remain fully secured. Personal info is only used to verify player identity as required by their licences and is not shared with third-party organisations. The FAQ section at Casino Joy is small but well-written and it manages to cover the major points of interest. If you are having a less than joyful experience and want to get in contact with customer support then there are a few different ways to do so. There is a dedicated UK phone number, as well as another line for the EU as a whole. You will find different emails according to the reason for your contact, and of course live chat operators are standing by to give you immediate answers to any queries. The list of restricted countries displayed on the Casino Joy site is not comprehensive, but includes the following: United States of America and its territories, France and its territories, Spain, Denmark, Hungary, Iran, Israel, Portugal, Romania, Turkey, Ukraine, Belgium, Australia, Slovenia and Greece. Besides these, it depends on whether online gambling is permitted in your country of residence. If you are unsure then the best suggestion is to contact customer support to see if you will be eligible both to register on the site and also whether you are able to claim the welcome bonus offer. Casino Joy certainly tries to put a smile on the faces of new players thanks to its generous welcome bonus as well as its colourful design. The welcome bonus may not be the biggest one out there but it certainly gives players a fair shot at making a good profit from the casino’s bonus. The game selection here is a real strength, with an excellent selection of slots and live games on offer. All told this is a nice casino gaming option, perfect for mobile players, and although it is a very new site it looks to have a bright future.